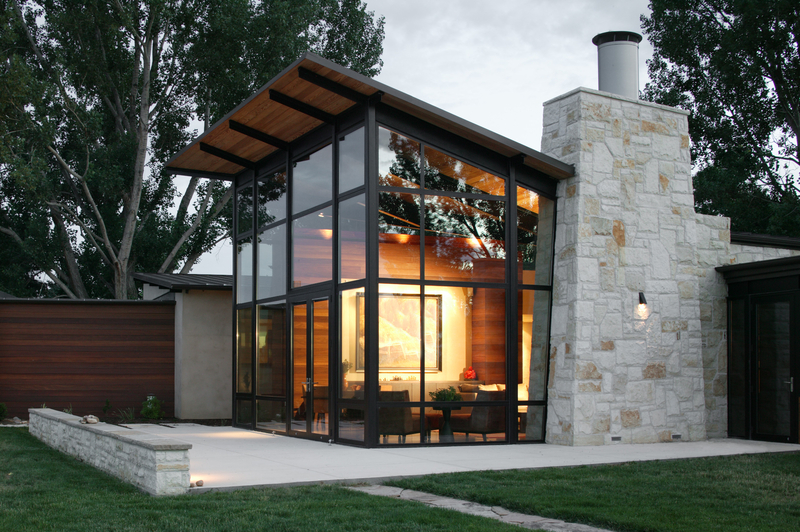 This home inBoulder, Colorado enjoys a unique contemporary layout thoughtfully placed within a grove of mature cottonwood, oak and spruce trees with a floor plan that is organized in three distinct wings to optimize views and access to the remarkable natural landscape. Rather than stacking traditional household floors vertically (basement, main, second story), this home is built laterally without a single step. 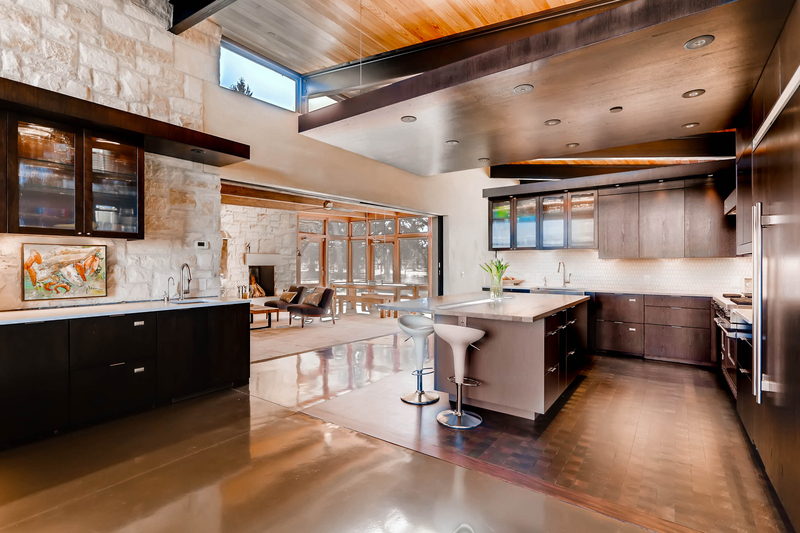 The property exudes mid-century elegance; with steel beams, wood plank ceiling, concrete floor, limestone walls, and walnut cabinetry. 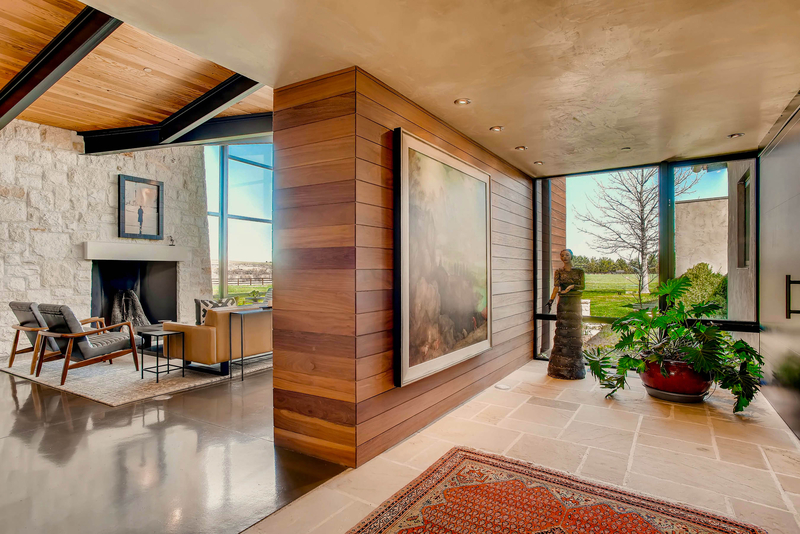 The entryway and main hallway act as a conduit into wings two and three, providing broad views to the West as a sliding glass door disappears into the stone wall to open the entry to the spacious screened porch and then outside to the luxurious pool and spa. 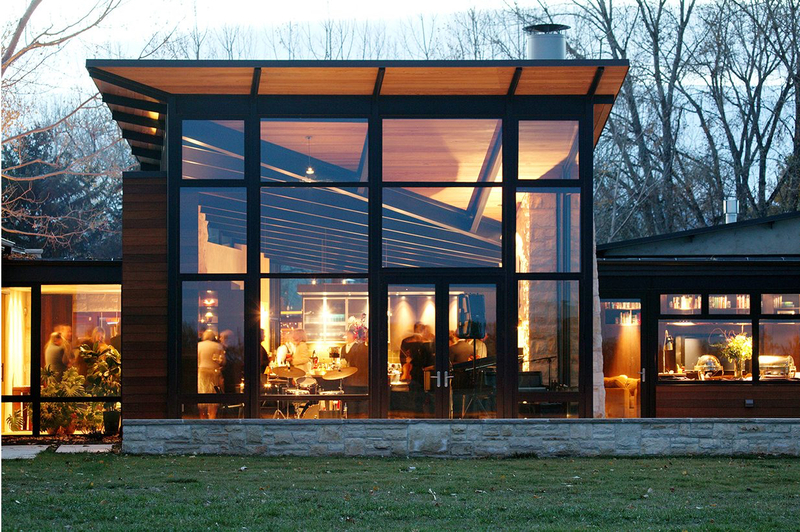 To the East, a wall of glass in this entryway frames the seamless views of the farm’s pastoral beauty. Stepping into the central section of the home, there is an open, unobtrusive layout which allows the kitchen to function as the heart of the home. 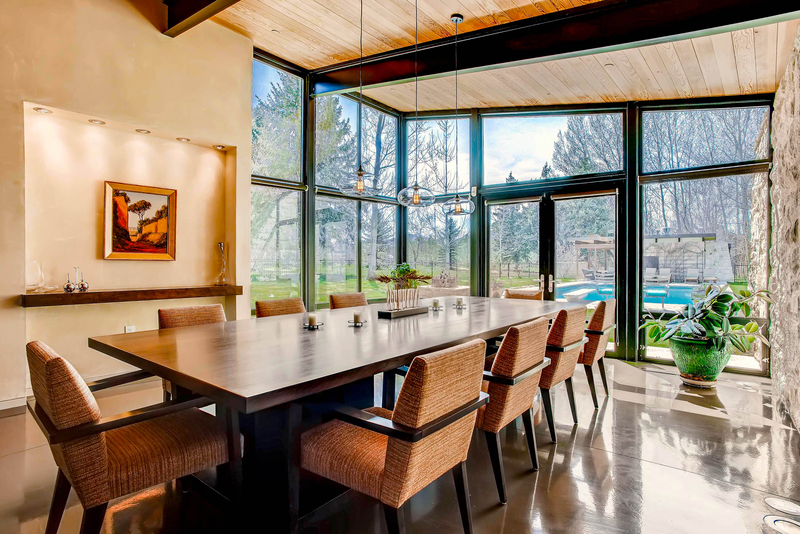 The dining room and screened porch act as forays into the lush backyard pool area. The soaring living room gazes out over the open range vistas and on to the stone cliffs at the base of the Boulder Creek in the distance. 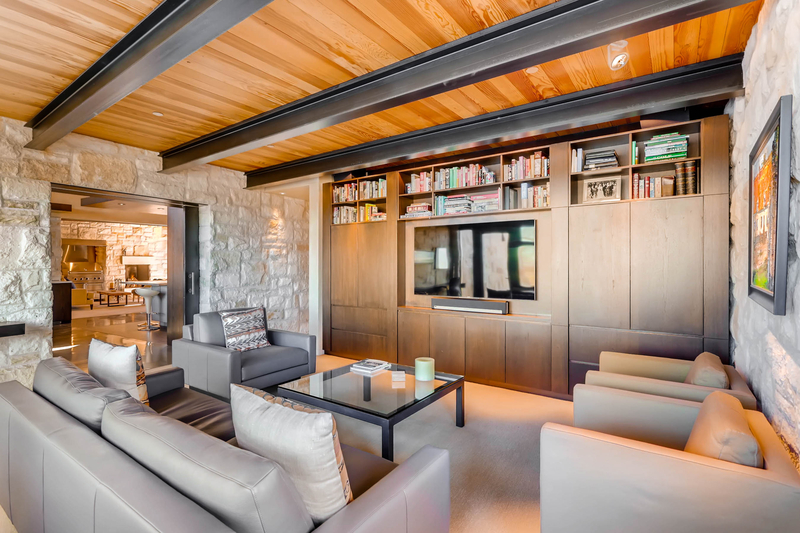 Draw open one of the weighty steel barn-style doors to reveal the home’s most intimate wing beginning with a den complete with built-in walnut bookcases/desks and TV seating area. Down the long limestone-walled hallway are three bedrooms concluding with a secluded master suite. The final wing is the most public element at the front of the home. Windows from the family/game room look onto the front gardens and magnificent cottonwood tree at the entry. 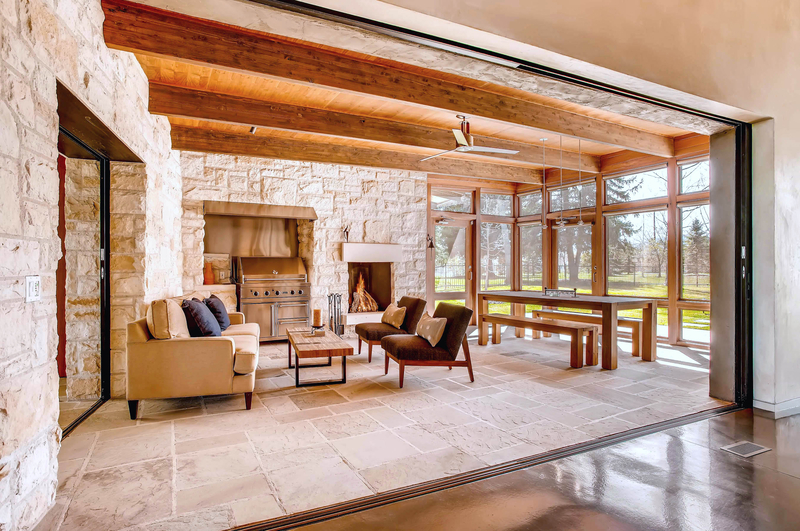 The exposed limestone walls, inside and out, convey the strength of the construction. This third section of the home includes a guest casita with separate entrance off the screened-in porch that also overlooks the pool and spa courtyard. 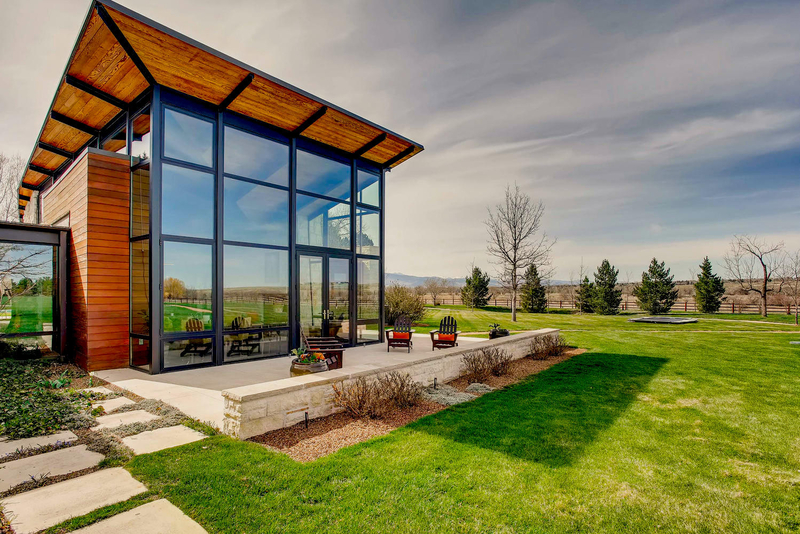 Created by Semple Brown Design, this generational residence offers a winning combination of modern design and sensitivity to the natural beauty of Colorado’s Front Range. 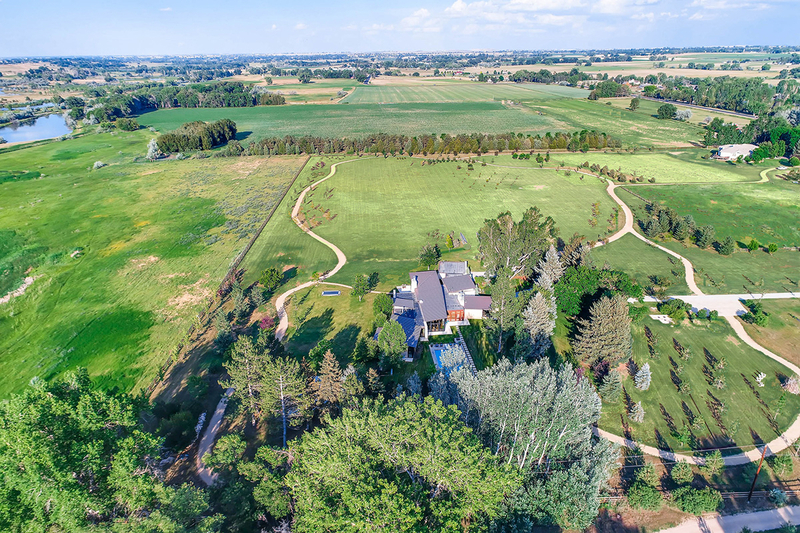 This home is listed for $10 million with WK Real Estate and is showcased by Luxury Portfolio.